National Cat Day was founded in 2005 as a way to draw attention to homeless cats in shelters and rescues. Here in the United States, more households have dogs in residence than cats, but that number decreases every year as feline popularity increases. Worldwide, however, cats outnumber dogs. Something for cats to be proud of, for sure. Keeping your feline companions happy and mentally stimulated is a big part of successfully cohabiting with them. Bored kittens get into trouble. Bored adult cats can end up with behavior and medical problems as a byproduct of their lack of proper stimulation. 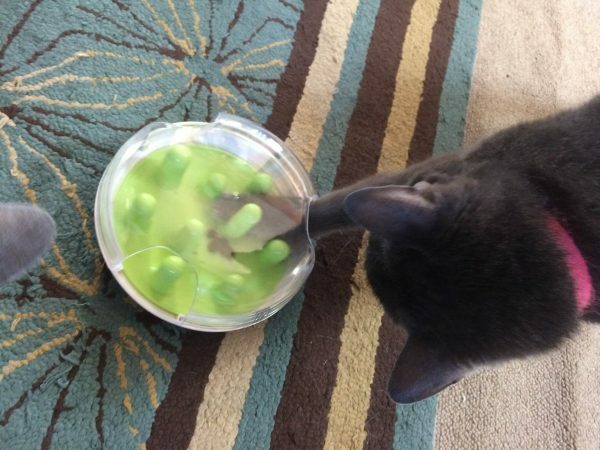 So, we thought it would be fun to share with you our favorite cat enrichment ideas. Some are toys, some are games, and some are just out of this world. The bottom line though is this: we love cats and we want them to be happy. Share your cat pictures with us and use the hashtag #NationalCatDay. Break out the catnip, it’s time to party! 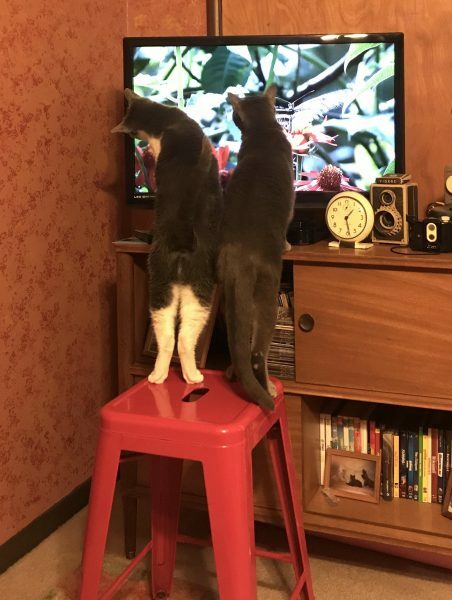 Thanks to the beauty of high definition televisions, our cats can now watch their own shows and literally be engrossed in programming designed just for them! GoCat “Cat Dreams” DVD for Cats is so good, you may have to hide the remote. 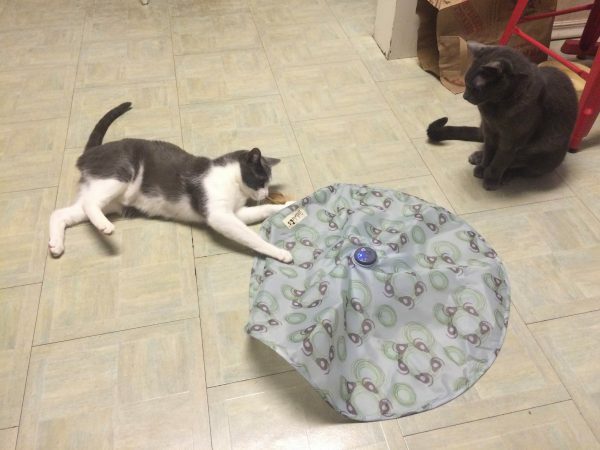 Most cats are highly entertained by the unpredictable movement that is the key to these amazing interactive toys. It’s like moving your hands or feet under the covers on your bed for them to pounce, only this works without you having to be there or worry about them snagging your bedding! 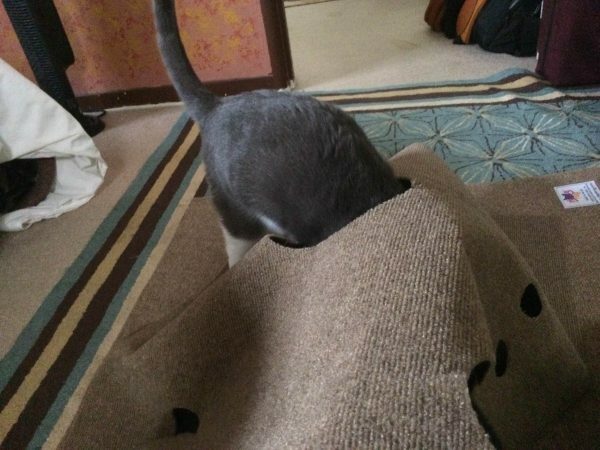 And for cats who love to scratch, dig, and hide, why not try a ripple rug? These box toys are great; they are full of holes for cats to explore and come with toys included. Of course, you can always add some of your own (or even little treats) to change things up. Some cats are obviously more food motivated than others. However, foraging for your food is fun, so most cats will play along. There are several styles of feeding toys available to your feline companions, but we really like these activity board style toys. And if you have a feline hunter or huntress in your home, these circuit-style toys which stimulate their prey drive are a blast!